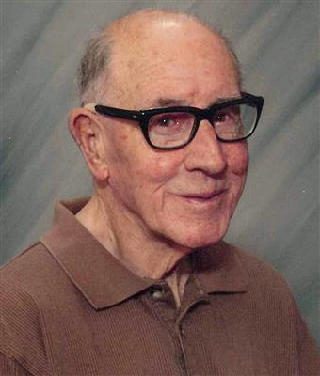 Joe Edmond Parris, 86, passed from this life on August 18, 2014 in Abilene. Graveside services will be 10:00a.m., Thursday, August 21, 2014 in Elmwood Memorial Park Cemetery under the direction of Elliott-Hamil Funeral Home, 5701 Hwy 277 South. Visitation will be this evening, Wednesday, August 20, 2014 from 6:00 to 8:00p.m. at the funeral home. Joe was born September 15, 1927 in Ovalo, Texas to Floyd Parris and Addie Meador Parris. He grew up in Bradshaw, Texas and attended school in Bradshaw for 10 years. He graduated from Wylie High School in 1945 and then joined the U.S. Army, proudly serving his country from 1945 to 1947. Joe married Margaret Louise Dudley on June 21, 1947 in Abilene, Texas. She preceded him in death on February 18, 2012. Joe worked in the furniture moving business for 25 years and for the City of Abilene for 15 years until his retirement in 1993. He was a life member of the Texas Rifle Association and an Endowment Member of the NRA. Joe was an avid gun collector and was proud of his right as an American to bear arms. He knew everything there was to know about all makes and models of any weapon made and his favorite times were spent on the gun range firing his many weapons. He taught his children, grandchildren, and great-grandchildren the rules of gun safety and the respect of the proper handling of weapons. Joe was a Baptist. He was preceded in death by his wife; his parents; a brother, Homer Parris; a son-in-law, Gary Schoolcraft; two nieces, Margaret Ann Cheek and Linda Cheek. Survivors include one son, Rickey Parris and wife, Pug of Abilene; daughters, Janice Schoolcraft of San Antonio, and Carolyn Wallace and husband, Danny of Abilene; eight grandchildren; eight great-grandchildren; sister-in-law, Jeanette Parris; and nephew, Gary Cheek all of Abilene. In lieu of flowers the family requests donations be made to the West Texas Rehabilitation Center, McMurry University Track Program, or the donor's favorite charity.